Quality is what we as a firm is committed to bring a quality product we are engaged in the manufacturing, supplying and exporting of Industrial Rollers. Installed with multiple features, our product is highly acclaimed among the clients. Quality is what we as a firm is committed to and therefore to bring in a quality product we are engaged in the manufacturing, supplying and exporting of Industrial Rollers. 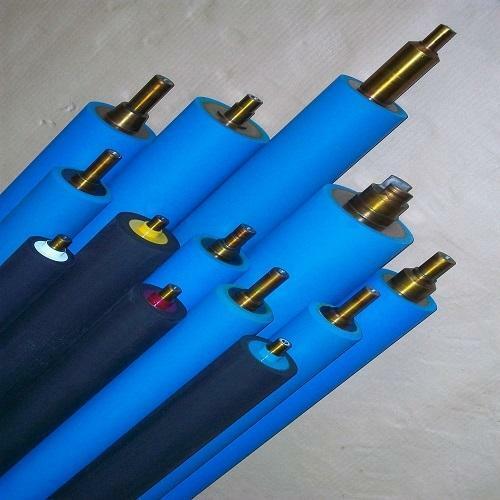 Our product range consists of Rubber Rollers, Silicon Rubber Rollers, Industrial Rolls and Rollers and many. Installed with multiple features, our product is highly acclaimed among the clients.